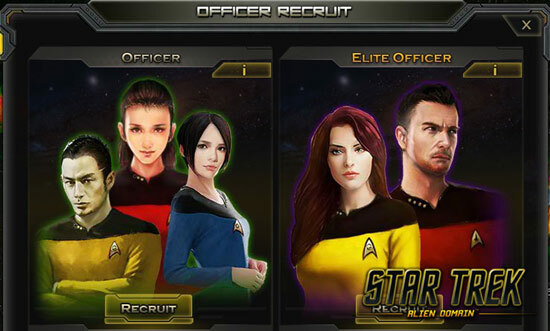 Everett, Wash. -- January 7, 2015 -- GameSamba today announced the upcoming second closed beta test of the new free-to-play online strategy game, Star Trek: Alien Domain™, and has also revealed details regarding the in-game Officer System. Set many years after the events of Star Trek: Voyager™, Star Trek: Alien Domain™ allows players to take on the role of a new Federation or Klingon captain as they become trapped in the unexplored realm of fluidic space. Following the game's first closed beta test, which ran from December 1-12, Closed Beta 2 will begin later this month on January 15 at 6:00p.m. PST. 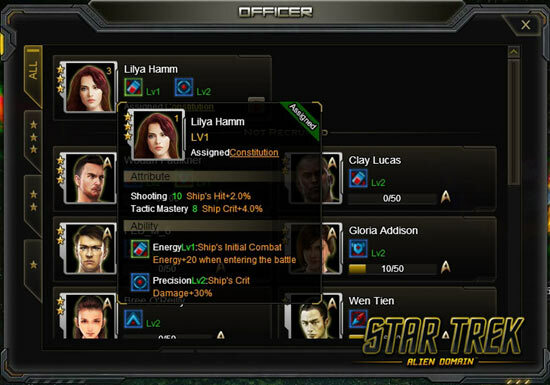 The Officer System is one of several features improved in response to feedback received during the first closed beta test. After reaching a designated point in the game's quest line, players will have the opportunity to recruit officers from their respective factions who have also been stranded in fluidic space. 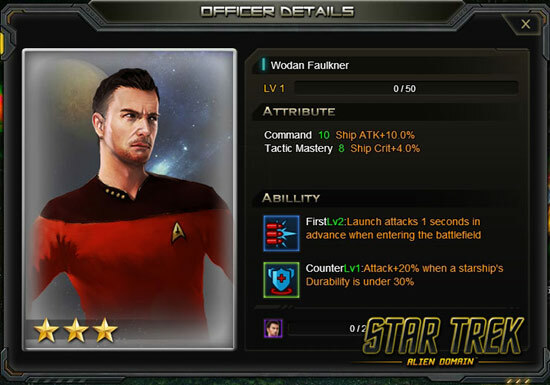 These recruitable officers are non-playable characters whose roles span the full variety of crew positions that Star Trek fans will be familiar with, including captains, engineers, scientists, security officers, and more. Each NPC has his or her own unique set of skills that will help players in exploration or battle, and by leveling these officers, their bonus effects can be improved. In addition, the official Star Trek: Alien Domain™ website will feature short biographical information on each of the NPC officers. GameSamba is currently hosting a community event on the official ST:AD forum where fans of the game can compete for their chance to name and create a personal backstory for some of these characters. For more information on Star Trek: Alien Domain™, you can visit the official website, or follow the game on Facebook and Twitter.